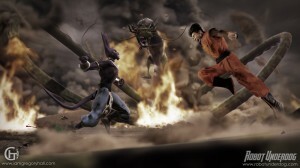 The team behind Robot Underdog are fast becoming every Dragon Ball Z fan’s best friend. 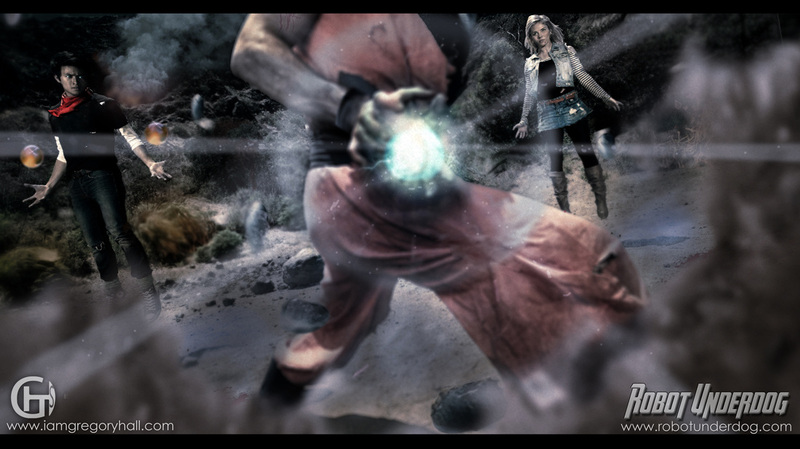 They started out by teasing us with some pictures of the amazing Amy Johnston as Android 18. Which to be honest was more then enough to win over every DBZ fan on the planet. Then they teased us with a Birusu statue which to be honest looked too ambitious to be part of a fan made live action movie. Now they have gone and done it, they have released two images of possible web series they could make. Once it’s all finalised we will get a three part web series based on one of the two scenarios. Personally I’m finding it very cruel they would make us choose. I wan’t to see Amy Johnston (Scarlett Johansson’s Black Widow stunt double) playing Android 18 as much as possible. But if you put that against a pretty good looking CGI Birusu I just want to ask for both.